Photo Rejuvenation Prices - Same day free consultations. 0% finance options available. To rejuvenate means to make young again or to restore youthful vigour and that is exactly what photo rejuvenation can do for you. If you look in the mirror and don’t see the fresh and young looking skin that you used to see, don’t get disheartened because there is now a safe and easy way to get it back again. Photo ageing occurs naturally but is intensified by the sun and certain other factors, such as smoking. Over time, ageing, trauma, sun exposure, and certain lifestyle factors cause a number of veins and capillaries to break. These appear as red streaks or blotches on the face. The overall appearance of ageing skin is primarily related to the quantitative effects of sun exposure with resultant UV damage to the collagen and elastic fibers of the skin. This results in skin imperfections such as skin laxity, dull complexion, enlarged pores, mottled pigmentation, excessive freckling and red and brown sun spots. 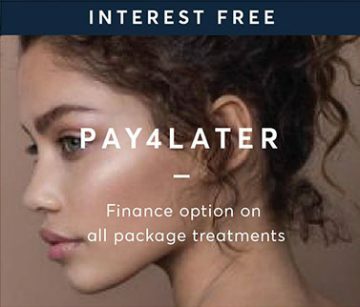 IPL treats all of these different signs of photo-ageing simultaneously and is, therefore, a very versatile treatment which can be tailored around your individual needs. This treatment is most usually done on the face, neck or hands. Not only does IPL photo rejuvenation tackle any unwanted marks and spots but it also has an effect on the stimulation of collagen in the skin meaning that the body itself helps to repair your skin, improve elasticity and diminish those wrinkles. By battling the signs of ageing such as fine lines, wrinkles, age-spots, sun-spots and broken capillaries your skin gets restored back to a more youthful appearance. IPL fires out a broad spectrum of light that is precisely calibrated to hit the areas of higher concentration of melanin such as sun-spots and age-spots and to reach deep into the lower layers of your skin. Hitting these spots acts to damage the tissue and the body’s natural processes will work to carry away this damaged tissue and replace it with fresh healthier skin while hitting the inner layer of your skin stimulates these cells to create more collagen. More collagen works to firm up your skin, diminishing wrinkles, and sagginess. Overall you end up with rejuvenated younger looking skin. Today’s active city lifestyle means that clients in London and elsewhere are requesting a more effective skin rejuvenation treatment with little or no downtime. IPL supplies that, as it is virtually pain-free and you can get straight back into your normal routine following your treatment. Get yourself booked in for a free consultation and see what photo rejuvenation can do for you. IPL fires out a broad spectrum of light that is precisely calibrated to hit the areas of higher concentration of melanin such as sun-spots and age-spots and to reach deep into the lower layers of your skin. Hitting these spots acts to damage the tissue and the body's natural processes will work to carry away this damaged tissue and replace it with fresh healthier skin. While hitting the inner layer of your skin stimulates these cells to create more collagen. More collagen works to firm up your skin, diminishing wrinkles, and sagginess. Overall you end up with rejuvenated younger looking skin. You will see gradual changes following each treatment but won't get the overall effect until you have had at least five treatments. There may be some redness in the area treated for a few days following the treatment, but make-up can be gently applied over it. What conditions can Photo Rejuvenationtreat?? The overall appearance of ageing skin is primarily related to the quantitative effects of sun exposure with resultant UV damage to the collagen and elastic fibres of the skin. This results in skin imperfections such as: skin laxity, dull complexion, enlarged pores, mottled pigmentation, excessive freckling and red and brown sun spots. IPL minimises or eliminates red and brown spots, evens out skin colour and texture and minimises red or flushed appearing skin. Why are multiple treatments necessary ? Depending on the number of conditions you are treating and the severity of the individual problem, a series of five or six treatments may be recommended. Each treatment takes about 45 minutes. A slight sting, like the snapping of a small rubber band will be felt but this is a totally bearable level of discomfort.